You are currently browsing the archives for the “social media” tag. It’s been a while since I’ve posted here. There’s a good reason for that. I’ve been working. I’ve always regarded blogging as a leisure activity, fun when there’s time for it, but readily set aside when big projects hit. Last June, with a new film script sold and an ambitious novel expanding beyond expectations, I realized it was time to focus on fiction. And that’s pretty much where I was until I finished the book early last week. At that point, with the manuscript mailed off and fending for itself, I got out from behind the desk and headed west for some social interaction with the good people involved in the film project. It felt good getting out. 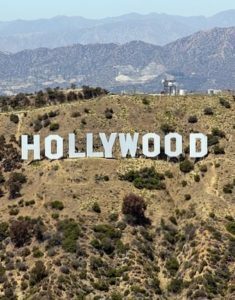 Offering a view of the Hollywood sign, my room on Melrose Avenue was a block from Paramount Studios and ten blocks from Xiomara, a fine Cuban restaurant in West Hollywood. That’s where I was last Thursday night, eating charcuterie and networking with a dream team of producers, directors, and writers–all taking part in something that I’ll be telling you more about just as soon as I can. In the meantime, since I once again have time for blogging, I’d like to share some thoughts on a topic I’ve been thinking about a lot lately, namely the benefits of temporarily disengaging from the world (something increasingly difficult in this age of social media) in order to focus on long-term projects. Back in the analog age (typewriters, carbon paper, onion skins), it was just me and the words. The phone might ring, but it was easily ignored. And even later, when I got my first computer, I was still master of the machine, with the biggest interruptions coming in the form of long load times and unexpected crashes (remember those?). 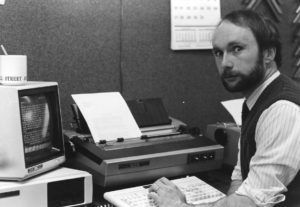 The photo at right shows an early model of the 21st Century Scop using an early Tandy computer. One of those had a 128 KB memory. Things are different today, of course. Even locked away in my writing space, I can still have the interactive world at my fingertips. That can cause problems, as noted a few years back by comedic horror writer Jeff Strand, who got a laugh at the Stoker Awards when he riffed on the hapless writer who pauses at a crucial point in his work and muses: “I wonder what’s on Facebook.” Funny but true, and therein lies the dilemma for the 21st century scop. Taking a moment to check social media might seem like a harmless distraction, but I find that such breaks in concentration pretty much derail my progress. When I pause in my writing, it’s usually because I’ve reached a crucial point in a story’s development, a place where deep concentration may lead to a stronger book and significant rewards down the road. That’s no time to break concentration and grab for the short-term reward of a Facebook “like” or “share.” And if I do take a moment to seek that instant gratification, even though the engagement may take me out of the fictional world for only a minute or two, I seldom reenter the story with the same deep focus I had when I left it. And let’s face it, most social media platforms are designed to keep us engaged, resulting in the intended “minute or two” expanding well beyond the original intentions. As for blogging, it presents a different dilemma. Although I may not feel compelled to pause my writing to dash off a blog post, I find that the process of writing, laying out, proofing, and posting invariably consumes all my writing time for that day … and if it doesn’t, I’m still pretty much written out once the post goes up. To be sure, some writers embrace social distractions. 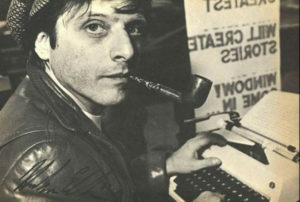 Chuck Palahniuk does well writing in public places, and Harlan Ellison produced some award-winning stories sitting in bookstore windows back in the 1980s. But those writers seem to be the exception. Even the young Hemingway, who wrote in cafes, became irritable when Ford Madox Ford sat down beside him for an analog facechat. For some of us, writing takes concentration, and concentration requires solitude. A few years ago, partly in an effort to figure out how best to balance the distractions and benefits of social media, I moderated a couple of convention panels with writers who had developed some expertise in the use of social media. 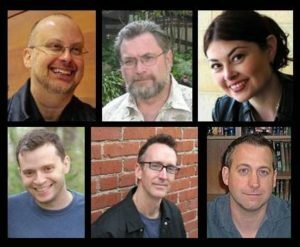 Among the panelists (pictured bellow) were Robert, J. Sawyer, Jonathan Maberry, Heidi Ruby Miller, Matt Schwartz, S. J. Browne, and Jon Sprunk. You can read some of what they had to say at here. The bottom line, we are social creatures. We can’t spend our entire lives in fiction. We need to get out, mix it up with the interactive world, engage with people who are not merely products of the imagination. But there are times when the work requires us to step away. The challenge is finding balance. What do you think? If you’ve read this far, you no doubt have some opinions of your own. If you have a moment, please chime in by posting a comment below or by clicking the Facebook button at the top of this page. That’s it for now. I trust it won’t take me another six months to post again. Until I do … scop on! The 21st Century Scop in the 20th Century. This summer I’ve moderated two panels on social media. The first was at last month’s Bram Stoker Weekend in New York. The second was this month at Confluence in Pittsburgh. Both panels considered how social media can serve as both a benefit and detriment to the writing life, and the discussions were so rich that I thought it would be fun to put them together into a virtual panel, in which responses from the June panel are placed alongside those from the Confluence discussion. The responses presented here are excerpts from the full-length recordings that I made at both events. They have been edited for clarity and continuity. In the weeks to come, I’ll try to offer more excerpts, each centering on an element of the ways writers can used social media to build and cultivate a fan base. One of the sf world’s most honored writers, Sawyer has won more sf and fantasy awards than any other genre novelist. 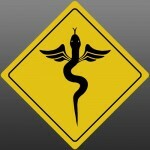 He was also the first sf writer to have a webpage and blog. His most recent novel is www:wonder — the third book in the www: trilogy. New York Times best-selling and multiple Bram Stoker Award-winning author, Maberry is a magazine feature writer, playwright, content creator and writing teacher/lecturer. His novel Rot & Ruin won the 2010 Cybils Award for Science Fiction and Fantasy. A creative writing instructor at Seton Hill University, Heidi is co-editor (with Michael A. Arnzen) of the writing guide Many Genres, One Craft. She maintains the blog Heidi’s Pick Six, is the author of Ambasadora, and has appeared on Who Wants to be a Millionaire. Creator of Shocklines.com and VP of Digital Marketing for Random House Publishing Group, Matt has spent more than 13 years working in the publishing industry with a focus on e-commerce, online merchandising, and online marketing, both viral and traditional. He has also served as editorial director for BarnesandNoble.com and director of online marketing for Simon & Schuster Children’s Publishing. The author of the novels Breathers and Fated, Browne has been called “one of America’s best satiric novelists” (Kirkus Reviews). Author of the Shadow Saga novels, Shadow’s Son and Shadow’s Lure, Jon is also the author of a number of short stories published in fantasy anthologies from Fantrasist Enterprises. Let’s start with the basics. Where should the writer begin? If a writer came to you for advice on how to begin building a presence in social media, what advice would you give? I think your own website is the place to start. I created my website not long after my first short story was published. My aim was just to give readers a place to go if they were curious about me and my work. It was partly about promoting my work, but when combined with my blog I think it became more about having a dialogue with the world. Definitely with the website and blog. I am to the point where after six years of posting author interviews on Heidi’s Pick Six (which have included interviews with Robert, Jon, and Larry), I find myself getting upwards of 500-600 hits a day. I had to work on this over a four or five year period, but it’s wonderful, and I also feel like what I’m doing with my website is a way of giving back to a lot of the authors, and it may give them a reason to help me out sometime in the future. I don’t think of a website as social media because it’s not generally interactive. But absolutely I agree that you’ve got to have a website. People expect you to have one, and you should have one. If you ever want to get a master’s level course in how not to do websites, just go to the main SFWA page and pick member’s pages at random. Almost all author webpages are appallingly hard to read, not updated, and lacking in current content. So make sure you do a good one. Like everything in life it is better to have no website than a bad website. So, yes, websites for sure – but make sure you do a decent one. Of social media, I just had lunch with Bud Sparhawk (which is real social media, two writers facing opposite each another and talking), and I was saying that I have kind of given up doing a lot with my blog. I was one of the first people to have a blog (even way before there was the word blog) but I spend most of my social media efforts these days on Facebook, which I find that I like. I find it more congenial because when you do a blog you’re supposed to allow anonymous comments, and the one thing that Facebook does is it has people there under their real persona. So for me, a Facebook presence is what I’m enjoying the most these days in social media. I’d definitely recommend that most authors establish a presence on Facebook and make sure that elements of everything they’re doing kind of point to that and have a consistent message. Ultimately, you’ll have to establish a Facebook fan page as opposed to just working on your personal profile, which I think is a mistake that some authors have made, going too far down the personal profile route only to be blocked into its restraints and then having to learn how to get their fans over from their personal profile page. I know that it might seem egotistical for some authors to start out with a fan page or a brand page, but there comes a point where you just have to get over that. One of the things that makes migrating people over to your fan page tough is that so many writers have fan pages managed by fans, and that’s a turnoff for a lot of readers. They want the personal page because there’s your personality. I have both, and I keep hitting the limit on my regular page as to how many people I can have, which is 5,000. So almost every day I’ll spend a few minutes posting happy birthdays to people who are actively interacting on my personal page but aren’t yet on my fan page. And I will send everyone who isn’t already on my fan page an invitation to migrate over. I’ll do that once, and if they don’t migrate over I’ll cut them anyway. But if they do migrate over I cut them from the regular page too. The idea is I eventually want to get everyone over to the fan page. If I could go back and start again, I would start with the fan page only, but I didn’t even know about the fan page when I started Facebook. I am also very careful with what I put up about my personal life. The version of myself that I put on my Facebook page is kind of the Goodtime Charley version of me. I don’t go too deep into my family. I don’t have a lot about my wife or my son. So it’s kind of the cocktail bar next to my fan page, and they kind of work together. One will be a little more business oriented, the other will be a little more fun (but also business oriented). They work pretty well together. But to get back to the original question about where you should start. Facebook is essential, but I think Linkedin is incredibly important, even if you’re not yet published, because a lot of jobs can come to you as a writer through linked in. I’ve gotten all sorts of work from Linkedin. And Twitter is useful. A lot of folks have a resistance to Twitter, but it is brand reinforcement. Anything that a writer does online that connects to their name is brand reinforcement. As long as the message going out is a positive one, then it’s positive brand reinforcement. So, when I teach workshops on social media, it’s Linkedin, Facebook, and Twitter as the first wave (even before you have a book deal) then blog, and then, once you have a deal, a website. So it kind of has a tier effect. But Facebook is probably the easiest to grasp, and the others are good for fitting in that part of your audience that doesn’t overlap with Facebook. There are people who are on my Linkedin page that aren’t on Facebook. And there are people that I have on twitter who aren’t on either. But you can rig it so that with your fan page you can place one post there and it goes to Linkedin and Twitter, so you have that little cascade effect that hits everyone. Any thoughts, questions, or comments? Please post them below. As with all panels (virtual or real) audience feedback is vital to the discussion. In the days to come, the virtual panel will be discussing mistakes writers should avoid when establishing a social-media presence. Keep checking back. Lots more to come! Powered by WordPress and delivered in 0.278 seconds using 41 queries.